One of my favourite comfort foods is the frozen potato waffle, crispy, unassuming, filling and comforting.. 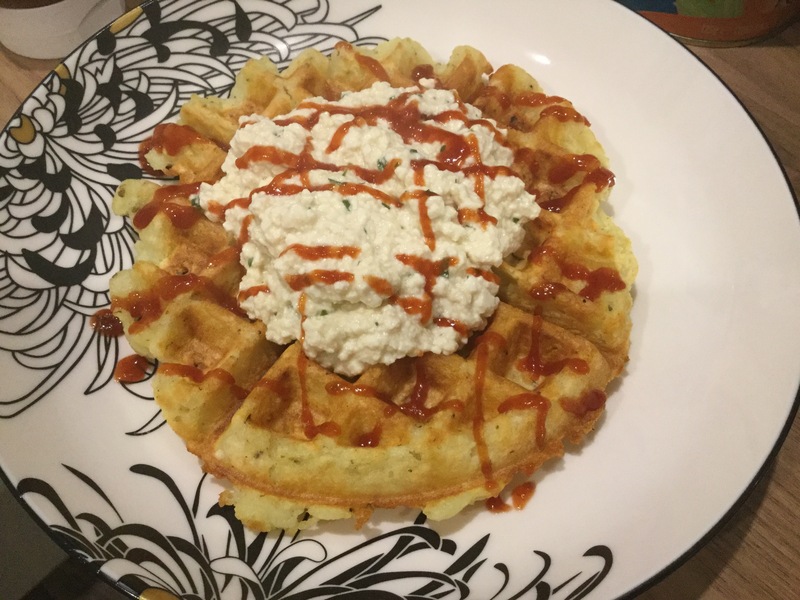 So when I bought a very cheap waffle machine, it had to be one of the first things I tried! These vary from the traditional frozen treat as I’m using flour to help hold them together, and instant mash potato rather than the extruded potato in the shop bought version, these are deliciously crunchy and tasty and have real potential for adding extra fun ingredients into the mix and there are so many good toppings! 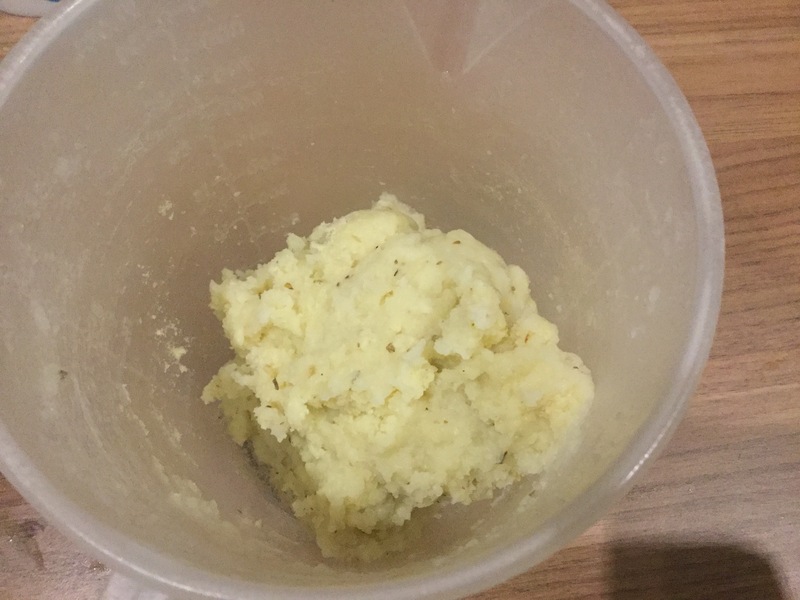 Mix together the potato, flour, salt and herbs. Add the water and oil, mix together thoroughly. Leave to sit while the waffle iron heats up. 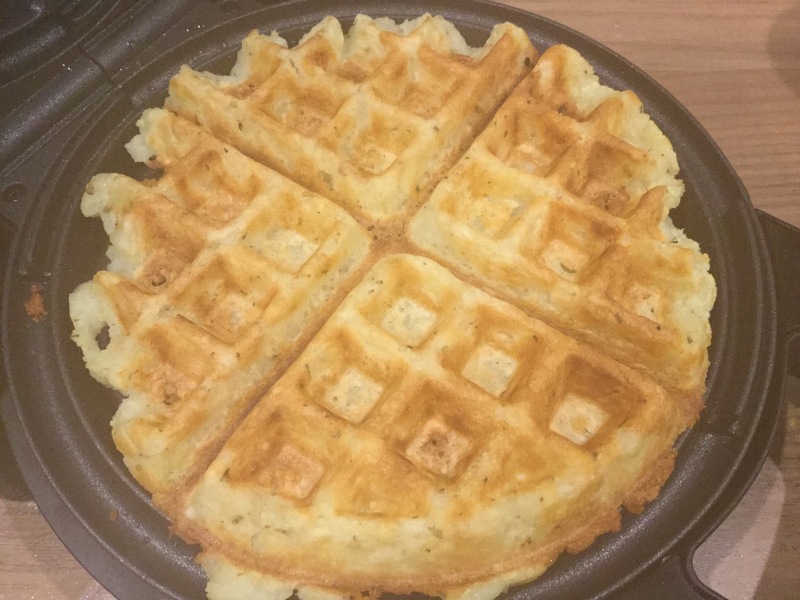 looking quite unassuming whilst resting..
Smush the mix onto the waffle plate and close the lid, it should spread out to fill the space. Cook for 5 to 8 minutes or until golden brown and crunchy. I’ve made a quick silken tofu scramble to top mine with. This is an awesome idea! I will have to try it.